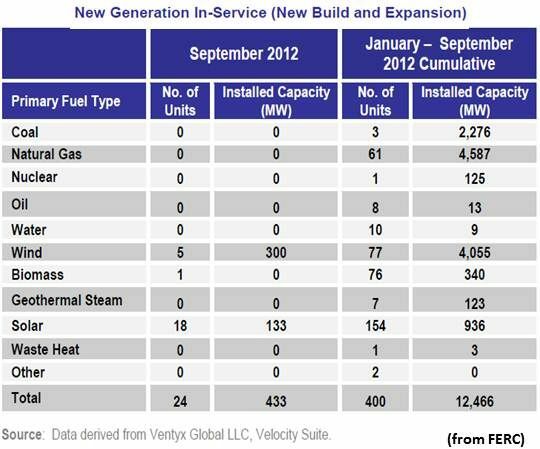 In the excitement over the news that all new U.S. electricity generation for September 2012 came from wind and solar, as reported in Federal Energy Regulatory Commission statistics, the bigger picture went less noticed. 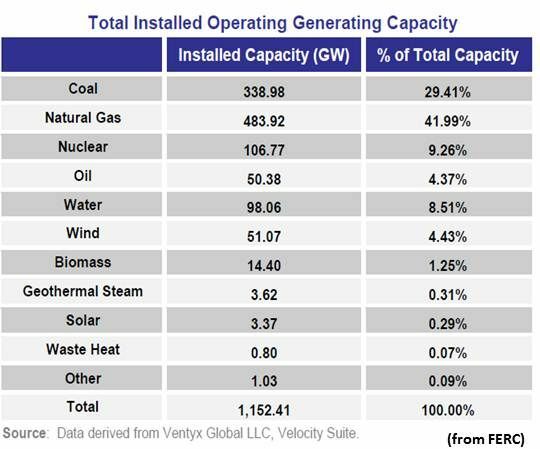 The cumulative installed electricity generating capacity of wind is now up to 4.43 percent of the U.S. portfolio and, adding solar’s rapidly growing 0.29 percent piece, the two biggest potential renewables resources are at almost 5 percent (4.72 percent) of U.S. capacity. Moreover, by adding in hydropower (8.51 percent), biomass (1.25 percent), geothermal (0.31 percent) and waste heat (0.07 percent), renewables now constitute almost 15 percent (14.86 percent) of U.S. electricity generating capacity. Gone are the days when advocates for the traditional generation industries could dismiss renewables as playing an insignificant role, particularly since they constitute the bulk of new capacity coming on-line. Two additional notes, one good and one not so good. First the bad news: Wind is virtually dead for 2013. Uncertainty surrounding the renewal of its production tax credit has already put companies on hiatus, shuttered facilities and caused 10,000 announced layoffs. It will take twelve to twenty-four months to get the industry geared up and producing again even if, as insiders report, Congress will reinstitute the PTC after the upcoming election. On the other hand, a slew of utility-scale solar power plants are expected to start bringing megawatts on-line next year. 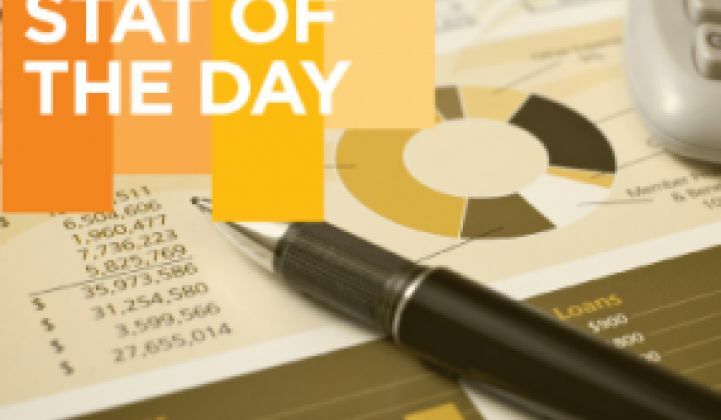 The NRG Energy (NYSE:NRG) and MidAmerican Holdings (NYSE:BRK.A) Agua Caliente project, the Exelon (NYSE:EXC) Antelope Valley Solar Ranch One project, the BrightSource Energy Ivanpah project, the SolarReserve Crescent Dunes project, and the Abengoa (MCE:ABG) Solana project all may help, along with others, take up the slack created by the congressionally mandated wind industry recession. It does not take a crystal ball to see that what happens in 2014 depends on what happens November 6.